Being in front of them, up close, forces one to really stand back and take in the juxtaposition of utter stereotypes that this duo comprises. 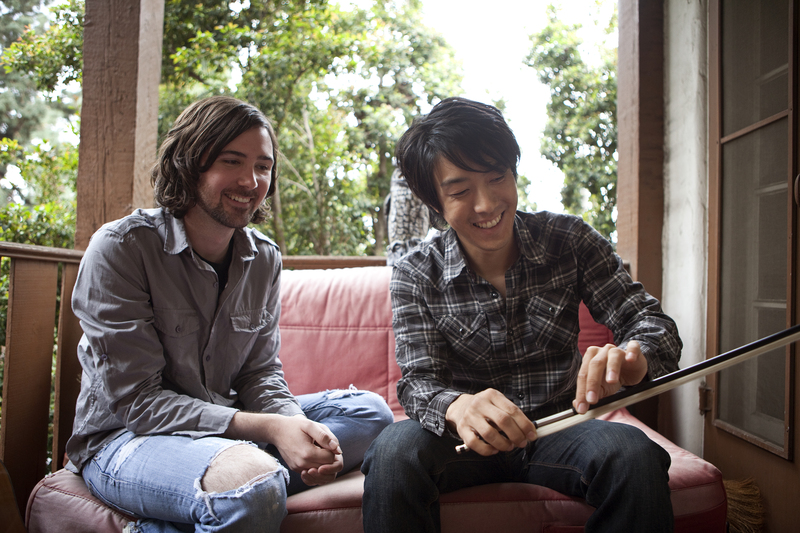 In many ways, the two of them are a couple of personified stereotypes: Oak the soft-spoken, reserved Asian who plays the classical, orchestral instrument and comes from a strict, demanding family, and Gorski, the outgoing, beard-sporting white guy and self-proclaimed “free spirit,” who plays the rock guitar. And both of their origins in music are not any less different. “It really wasn’t a very good school so it was easy to stand out. I was just doing good in spelling and math,” he says in a typical self-deprecating way. Although he got hooked on music at an early age, perhaps reflective of the strict, ambitious Korean-American heritage that he comes from, his plan was never to become a full-time musician. So he set his eyes on law school — while keeping his love for music close by. He even convinced his father to allow him to study music at the University of Southern California, under the condition that he promise to apply to law school upon graduation. During his time at USC, he was actively involved in the music department for local church programs, where he cultivated and explored his love for music even more. By the time he heard back from schools like Michigan and New York University, offering acceptance into their law programs, he found music had formed too strong a hold on him. That was Oak. Then you have Gorski, 27, who got his start in music in a more straight-forward, smooth fashion. When asked to recall what got him onto music, he immediately breaks out with a huge smile. “I started playing guitar at 13 or 14. I was in a band in high school. We played crappy Nirvana and Metallica covers and whatnot. You know, the usual,” he relates in a tone that’s both non-chalant and humorous. Unlike Oak, Gorski’s family did not push him to become a lawyer. “When I told them, ‘You know, I’m gonna start working as an artist,’ they said, ‘Okay, cool! Hope it goes well!’” And that was that. But as stereotypical as they may be individually, the two of them working together as a duo make their act unique and they are somehow able to mesh with each other. Fast-forwarding to the present, that chemistry has them preparing to go on tour to promote their latest release, Good Advice, Bad Advice, which is a record that significantly departs from the bare, stripped-down acoustic sound they’ve been playing for years. “I guess we feel like we had explored the acoustic thing enough because if you listen to our three records you’ll see a progression,” Oak explains while taking the first sip of his coffee. The pop-rock sound of the new record is still recognizable and is very much within their established identity; the duo is simply looking to branch out a bit more. But don’t get them wrong, both acknowledge and still embrace the relevance of their earlier work. But neither of them will ever hide the fact that they had doubts and some hesitancy when Will Golden and Al Sagro, who served as both producers and musicians on their latest album, approached them with the suggestion of adding more instruments and a bigger sound to their music. Both pause and glance at each other, both seeming like they each want to rush to the next point in the conversation. 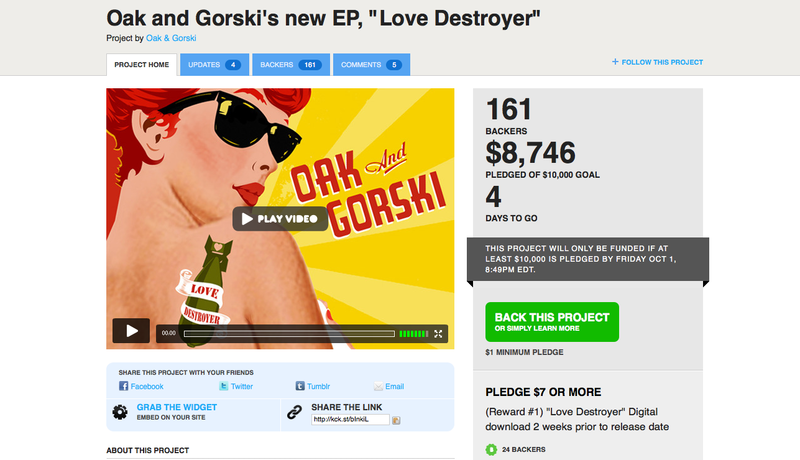 “And then we did like three songs…and we were like ‘Whoa…okay, let’s do this!’” Gorski says with a chuckle. In a previous conversation from a year ago, before their current album was even on the radar, both artists were asked, as they were loading equipment into their mini-van after a show, what their motivation for making music was. This question seems relevant enough to be asked again but Gorski sees it coming before it even has a chance to fully form. Both let out a loud, extended laugh before Oak continues. Ed puts both feet on the ground and moves up closer to the table to elaborate. Gorski picks up his speech even more, with Oak sitting back and nodding in agreement. “And at the same time, there’s this whole group of people who simply like music that’s good to listen to and that’s what I think we were already doing,” Gorski continues. With a final nod, Oak consents to the assessment. Both of them put their cups down and sit back in their chairs during a short break in the conversation. Amidst all this talk of “progressing” in sound and opening up to “wider audiences” there has always been one dominating constant in their music that neither of them has addressed yet — and that’s the cello. The band’s first album, Symposium, was a very somber, moody, and relatively dark album that had a sort of brooding tone to it, which the cello seems suited for and did indeed match well with. 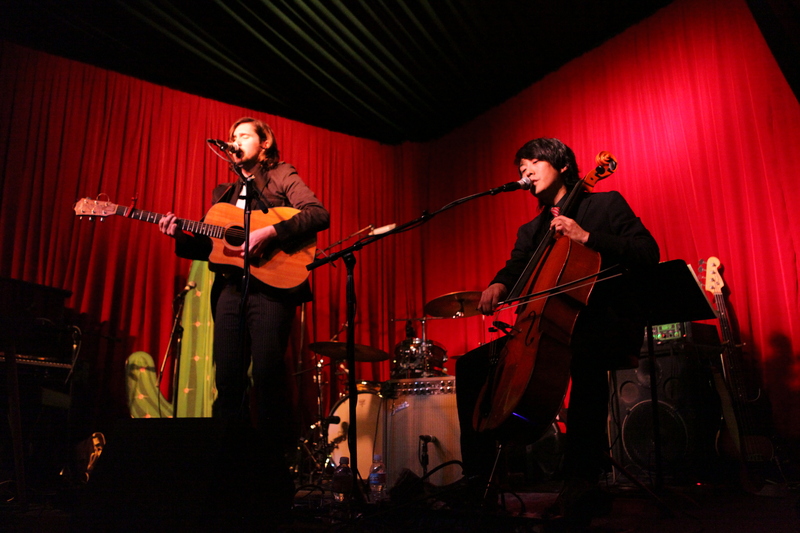 But as they shifted in sound with brighter elements on their second album, Vienna to Venice, and with the more or less straightforward pop-rock on Good Advice, Bad Advice, the cello has surprisingly maintained its spot at front and center, never at once feeling out of place or forced. The versatility of the cello is something that neither of the musicians ever expected. In fact, they were just as surprised as anyone else at how well the instrument has gelled with everything they’ve thrown at it. There is one more thing besides the cello that has remained a constant in their songs. It’s the lyrical themes and inspirations. “To deal with that,” Oak finishes, signaling another explosion of laughter.While on the topic of long-standing aspects of their music in conjunction with newer goals, the conversation turns to yet another staple of their careers that has been around almost as long as they have: the support of the USC Trojan family. With that, the coffee cups are sipped from one last time, hands are shaken, thanks are exchanged, and the interview winds to a close. The two of them walk out the back door and up the short alley back to Oak’s house, which is the band’s main hangout. The duo heads inside to get some last minute preparations done before they hit the road, once again, in their mini-van — hopefully finding that wider audience they now seek.